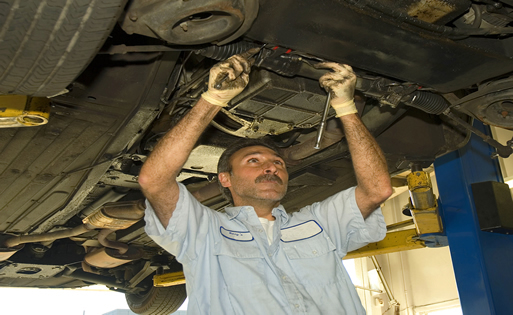 Workers' Comp Savings with Online Payroll Through Our Mechanics Employee Leasing Programs. Pay-as-you-go workers' compensation insurance with discounted rates. Access to group healthcare, dental and vision and 401k savings plans. Answers to employment related issues from a professional HR service team. Payroll services, including on time tax payments, quarterly and year-end reports, wage garnishments, free direct deposit and more. Is Employee Leasing And PEO The Same? In short, yes. The industry started in the 1970's as employee leasing, but in the early 2000 there was a change to call these companies Professional Employer Organizations. With some market confusion to "staffing" services and employee leasing - the term PEO was born. Does The PEO Hire My Employees? Yes and no. Working with a PEO company is what's called a "co-employment" relationship. You - the business owner continue to hire, terminate and run the daily operations of your business and are considered the "onsite employer" in the relationship. The PEO provider is known as the "administrative employer" - and employer of record in the relationship. How Much Does A PEO Company Charge For Services? On average, a PEO management fee runs between 2-4% of annual payroll. Standard services include complete annual payroll administration, quarterly and annual payroll tax filings, benefits management, along with safety and HR assistance. With almost one thousand PEO and employee leasing programs throughout the country, each provider has different service offerings and pricing. Since 2001, Employee Leasing Quotes has made finding the perfect PEO company fast and easy for business owners in the automotive industry. With so many PEOs and each being dramatically different, there may be only one that fits your needs. Give us a call, ask questions and get answers that make sense - we're here to help.